The Museum of Aviation in central Georgia is a truly a wonderful place to visit for those interested in aviation, but it’s also a great stop for those traveling south from Atlanta with kids. Located approximately 20 minutes from Exit 146 on I-75 in Warner Robins, it’s the perfect place to give the kids (and you!) a break. With massive airplane exhibits in hangars, and a field full of aircraft to run around, it’s a museum that has something for everyone. I grew up in Warner Robins, so had been to the museum quite a bit growing up. Then I married an aviation aficionado, had my wedding reception in the museum’s Century of Flight hangar, and now we visit with my kids every time we’re in town. We love this place! It has airplanes galore, places to run, interactive exhibits, something new every time, and a small playground and picnic area. And here’s the best part: It’s FREE! Free admission and free parking. You’ve got nothing to lose. 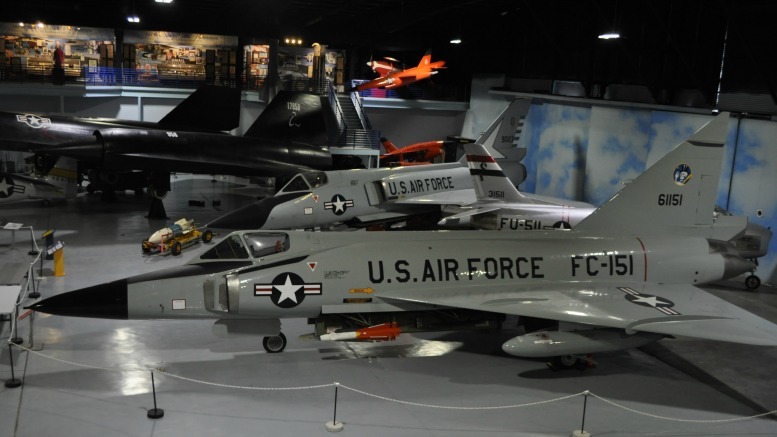 The Museum of Aviation is the second largest museum in the United States Air Force, and is located on 51 acres right next to Robins Air Force Base. And here’s the number one thing I want to tell you: This place is huge. I have been here a lot, and there is no way I have seen everything. You could honestly spend a week here if you wanted to take it all in! With kids, we’re usually here about two hours. The museum has four large buildings that house various classic airplanes, missiles, and exhibits, and they also have an outdoor field with other airplanes to check out. My kids had a blast running around outside, and standing next to the airplanes’ huge wheels. The Eagle Building and the Century of Flight Hangar are two biggest spaces — filled with restored aircraft, and exhibits. It’s a wonderfully immersive experience, where you can read about aviation history, learn more about the Tuskegee Airmen, see the actual uniforms that were worn during World War II, and read stories from those who were there. The Georgia Aviation Hall of Fame is housed here, as well as an area focused on women in aviation. There is just so much to see! For my kids, the airplane cockpits they could sit in, and the miniature Great Wall of China were their favorites. The aircraft on site range from those used during WWII to modern day. They restore the aircraft here, and when we were there last week we could see they were in the middle of restoring a rare B-17! The kids loved looking (from behind a rope) at the restoration process. This is a truly wonderful road trip stop, or destination in the central Georgia area. Bring a lunch — they have picnic tables in their playground area. The amazement on my kids’ faces when they see a real F-15 up close is so worth the trip! We learn something new every time we go, and always have the best time. 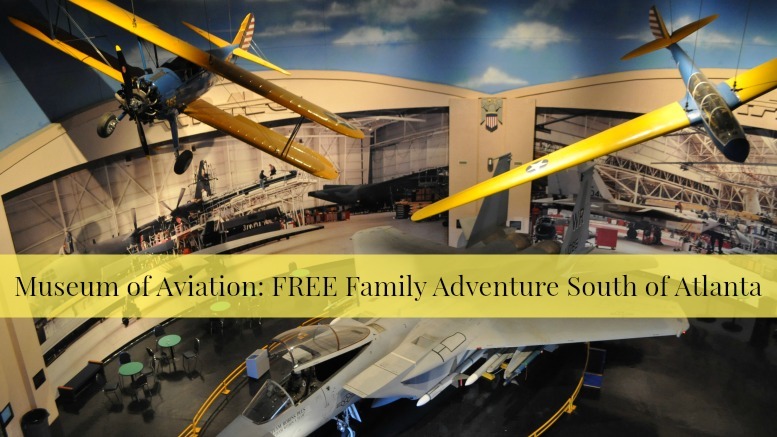 Be the first to comment on "Museum of Aviation: FREE Family Adventure South of Atlanta"